We arrived early morning (about 5am) at Cebu city port taking the Cokaliong liner (Php 890 per person, economy accommodation) and proceeded to southwest to Argao. Though we initially planned to just stay at Carcar City, our ride was quite fast compared to the previous days since the terrain was straightforward. Very few climbs and weather was perfect. Though we encountered moderate traffic in the city proper, we eventually speed past the slow build-up of vehicles as we went away from the center. The day was special as we dropped by the popular Carcar city public market. For those (un)familiar, Cebu prides itself of its native Lechon (roasted pig) and we were told that Carcar public market sells them at a cheaper price and are very fresh from the grill (Php300 per kilo). After lunch, coffee and a nap at a nearby café, we headed to Argao, Cebu and ended up staying at Looc Beach Resort. inside the market where the good stuff is! Jun excited for this roasted delicacy! Though it was hot that day, we managed to ride out early and enjoy the countryside. Heading south meant getting farther, deeper into the province where the sea and heavy patches of trees were commonplace. We spent time at the town of Boljoon which had an old church and school constructed in earlier times. Eventually we reached Oslob and stayed at a pension home. The next morning, we decided to go around town and enjoy Oslob. Though we weren’t really in to the Whaleshark offering, we wanted to go to Tumanog falls only to find out that trips there via motorcycle were a ripoff. Instead, we went around the old buildings such as the church, old town walls built during the Spanish era. In the afternoon we proceeded to Santander port to take the next boat to Dumaguete, Negros Oriental. 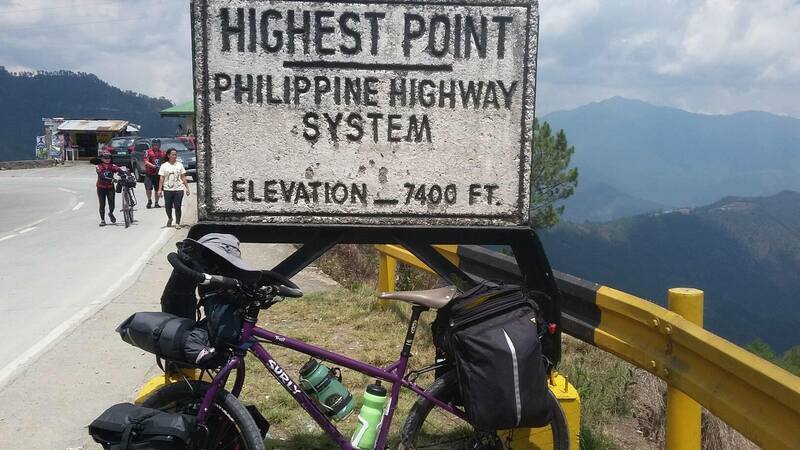 I’ve biked in Cebu a few years ago and this province remains to be one of those havens for cyclists due to the many tourist spots and trails one can visit. 3. In terms of cuisine, you might find food in Cebu a bit salty and you would need to brace yourself for this as the food experience might be a bit awkward at first. 4. I was a little disappointed with our experience in Oslob as tours offered by the locals change in prices and are aimed at foreigners. For instance, as claimed by the caretaker of our pension home, the motorcycle ride we were supposed to take at Tumanog falls costs just 50 pesos but when we got to deal with the drivers, they claim it is Php150. Morover, though many suggested the whaleshark tour, we weren’t in favor of it as it is against sustainable tourism practice, -feeding the whalesharks-effectively disrupting their natural patterns of living. 5. I’d say, this leg of the biketour is the start of our “food coma” as cuisine is definitely memorable as with the remaining destinations of our tour going home. 7. The Santander port is a small and you may need to seek the help of locals who can direct you to the area. The fee for the trip from Cebu to Dumaguete is 70 Php.